India will most likely become one of the biggest digital hubs in the future but until now, scammers have managed to hold their control over the first-time Internet users or tech-newbies. With the recent advancement in India’s Internet-related technologies, the number of Internet users has risen by a whopping number. It has been claimed that nearly 10 million new users gain access to Internet in India per month. Although this innovative approach sounds good, there is a dark side to it too as these novice Internet users are prone to spam attacks. One of the recent trends of scamming people is by taking advantage of Google Maps Business Listings. For instance, a number of liquor store listings on Google Map were bombarded with images featuring contact numbers on them. These pictures were seemingly advertising free home delivery of the booze with advance payment through Paytm (money transferring app). However, it turned out (still happening) to be a fraud as once the payment was made, the scammers simply blocked the consumers. After a thorough search, a huge network of these scammers was identified by AndroidPolice. In order to make their fraudulent business seem authentic, these scammers leave good ratings and reviews (loads of them) on their business pages, making them rank among the top services of their kind. However, the con-job isn’t just restricted to the liquor store, it has also found its way into people’s bank details, and has also resulted in people losing their savings. 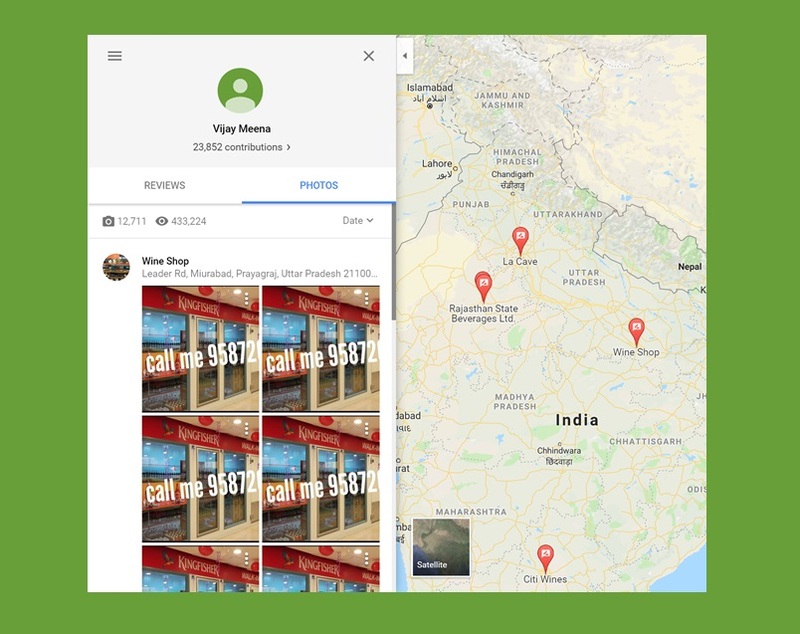 While Google cannot be held responsible for the entire Spam via Maps Business listings, the crowd-oriented approach of the Google Maps, along with other spam tactics, has adversely affected a lot of people and even businesses, both big and small. Moreover, it’s claimed by many that with just a few simple yet effective modifications to its algorithms and proper moderation, Google could have avoided this whole fiasco. The Tech Giant however, made sure to address the issue and assured users that such actions are unacceptable and won’t be tolerated and that they were continuously working on finding out ways to tackle and get rid of these issues but couldn’t reveal much in order to keep the spammers in the dark. Claims of proper investigation, in case of any reported fraud activity, were also made by Google. It remains yet to be seen whether Google comes up with a way to counter this problem.